Storytelling in hip hop is a skilled art form that we don’t see enough of these days but when it comes, it’s some­thing that is held in high esteem. The com­bin­a­tion of con­tent and deliv­ery needs to be spot on, some­thing which is hard to mas­ter, espe­cially in an era where people are chan­ging the way they con­sume music. 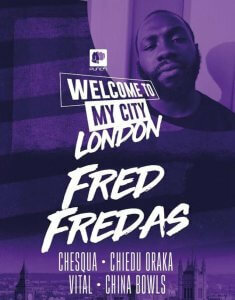 I Am Hip Hop had the hon­our of inter­view­ing one of London’s own storytellers, Fred Fre­das, who has broken through in the last few years with EPs P.A.U and In the Search For Love. Both pro­jects are noted for their abil­ity to spread emo­tion due to the artist’s vocals. 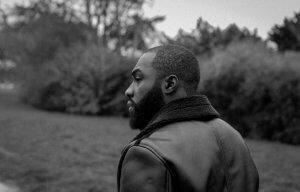 The South Lon­don­er will be head­lining the kick off to Punch Records’ Wel­come to my City tour on April 14 at the Under­belly in Hox­ton and we had the chance to talk about his music­al jour­ney ahead of the night. Your last pro­ject, In the Search for Love, has a notice­able con­cept of romance and smooth­ness. What brought on this decision, con­sid­er­ing your pro­ject in 2017 had some more aggress­ive sounds? I am a writer that talks about my exper­i­ences and what is going on in my life. When I star­ted writ­ing in the ‘In the Search for love’ I just entered into a rela­tion­ship and that had an influ­ence on the dir­ec­tion of the EP. It also made me ques­tion what love is and that made me want to delve more into this top­ic. When I got into the stu­dio with Spacey Blak, the first song we made was ‘Angel in The Sky’ and this song set the tone for the rest of the EP. I enjoyed listen­ing to both pro­jects and noticed from Ego to Peace of Mind there’s a con­sist­ency of con­scious­ness no mat­ter what the sub­ject mat­ter is. How import­ant are these top­ics in the cur­rent polit­ic­al and social cli­mate? For me it’s all about con­nect­ing to people and chan­ging lives, that is why I do music. I want my words to res­on­ate with indi­vidu­als deeply and for me, in this cur­rent social cli­mate there are a lot of people are who scared to be them­selves, there­fore it is extremely import­ant for me to show people that it’s ok to be your­self. I hope that through telling my story it gives someone hope to keep going in whatever it is they are pur­su­ing. As a fel­low South Lon­don­er, how much does your envir­on­ment inspire you music­ally? Grow­ing up in South Lon­don has had a pro­found impact on me and that def­in­itely feeds into my music. South Lon­don has always been heavy on rap music hence why, when I was grow­ing up I nev­er really listened to grime music because every­one in my area listened to mainly rap music, espe­cially from Amer­ica. Grow­ing up in South Lon­don has def­in­itely con­trib­uted to my music­al style. There has been some­what of a renais­sance of Brit­ish hip hop in the last few years. How does it feel to be part of this and what dir­ec­tion do you see it going in? I feel very priv­ileged to be a part of it and I only want to con­tin­ue con­trib­ut­ing to it, help­ing it to grow, and mak­ing it the best it can be. 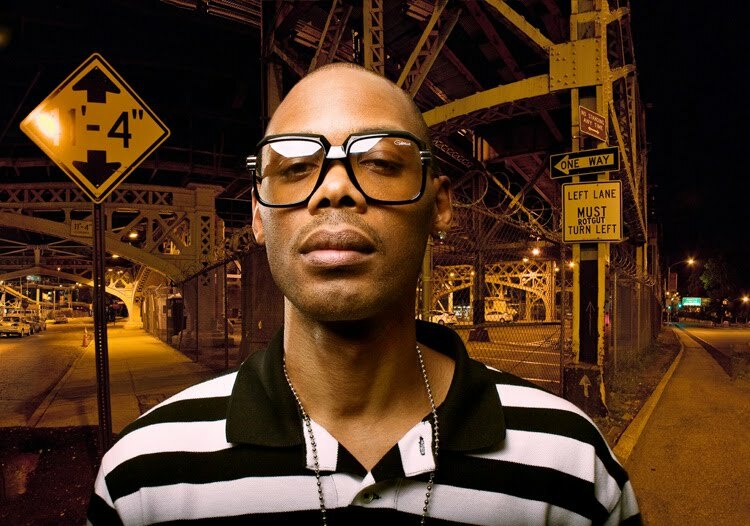 For the future I see artists who are mak­ing altern­at­ive Hip Hop music come more to the fore­front. Is there any­one from the UK that you’d like to work with from this new era? I would love to work with Little Simz, she is a big inspir­a­tion and a pion­eer in her own right. She makes the music she wants and has been cel­eb­rated for doing so, I feel like Little Simz and I would col­lab­or­ate well on a track togeth­er. Who were your lyr­ic­al inspir­a­tions grow­ing up? Grow­ing up I listened to a lot of old school Hip Hop, albums such as Nas’ ‘Ill­mat­ic’, Ras Kass- ‘Soul on ice’, Jay-Z’s ‘Reas­on­able doubt’, Kanye West’s ‘Col­lege dro­pout’ and Eminem’s ‘Mar­shall Math­ers LP’. Through listen­ing to these artists, I learnt the art of storytelling and the import­ance of telling stor­ies through your music. I learnt how you can use words and par­tic­u­lar rhym­ing schemes to touch the listen­er in pro­found ways. What can we expect in your next pro­ject? I am def­in­itely push­ing myself in my next pro­ject, there­fore you can expect growth. Are you look­ing for­ward to head­line the Wel­come to my City tour on the 14th April? I am def­in­itely look­ing for­ward to head­lining the Wel­come to my City tour, it’s an amaz­ing oppor­tun­ity and I can’t wait to get on stage. What can we expect at the night at the Under­belly? You can expect me to per­form my heart on stage, that’s what I am about. I want to take every­one on a jour­ney that night through my story. Sum­it is a his­tor­i­an from Croy­don, South Lon­don. He spe­cial­ises in music, art, cul­ture and man­go lassi. 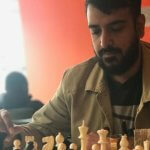 Sumit is a historian from Croydon, South London. He specialises in music, art, culture and mango lassi.